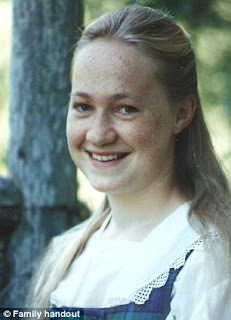 Looks like a probable attempt to hide freckles by bronzing turned into an obsession after Ms. Dolezal discovered she could get "free stuff" like minority scholarships and affirmative action hiring points. An unfortunate story. Of course, there will always be a few people who would inappropriately exploit programs intended to benefit those who are truly disadvantaged. Since Ms. Dolezal never had ancestors who worked as slaves or were lynched by the KKK, she should not have been offered these benefits. This story is similar to others about wealthy individuals who would file fraudulent tax returns that list less income than they actually received. The payoff was lower tax paid and more money in pocket. It is all criminal fraud. 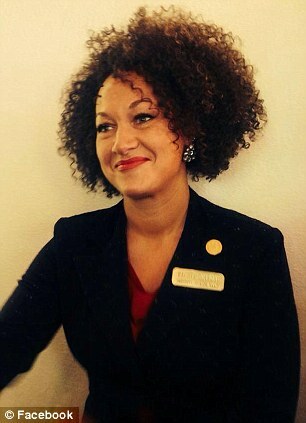 But she said, "I do consider myself to be black and that’s because … you know, that’s how I identify." Shouldn't that be good enough for today's left? On the other hand, there's a similar case. You probably know the individual. His name is Ward Churchill. In his case, he actually does have genetic markers for native American ancestry, -but because of the corrupt manner in which the US government defines what "is" and "is not" Indian (a fractional definition that serves the nationalist agenda of Anglican white people), -Churchill falls short of being officially Indian. Churchill claims the definition is arbitrary and erroneous, and I agree with him. Yeah, I remember Churchill. He Makes an appearance in Dinesh D'Souza's America. On the matter of fraud, there's an interesting piece that I link to above (in the "Latest New/Commentary").